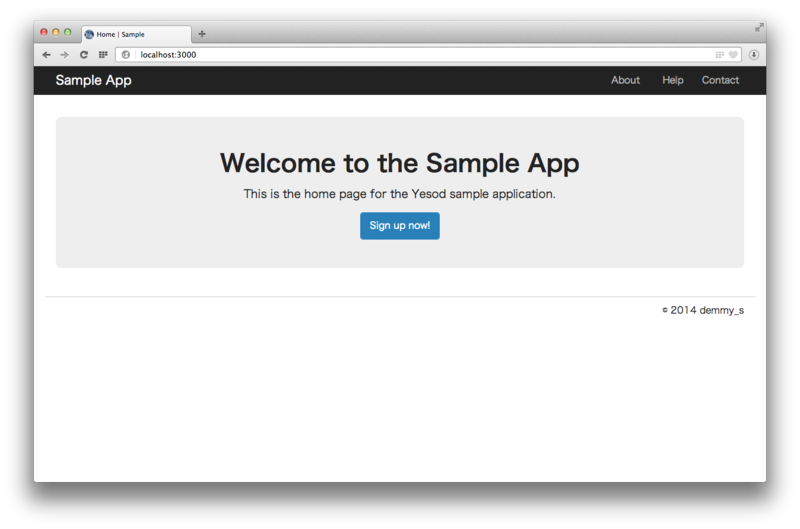 <p>This is the home page for the Yesod sample application. <a href="#" .button .blue>Sign up now! setTitle "Home | Yesod Sample"
setTitle "Contact | Yesod Sample"
--   giving you compile-time verification that referenced files exist. --   accessed this way. You'll have to use their FilePath or URL to access them. -- at compile time to decrease the number of http requests. $ cabal repl --ghc-options="-O0 -fobject-code"
-- you to use normal widget features in default-layout. getContactR = error "Not yet implemented: getContactR"